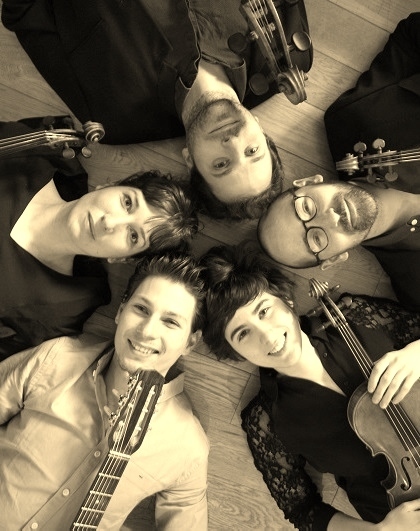 Jérôme Brajtman&Le Quatuor Anouman are prepapring a musical show and an album! Participate to this adventure by helping us realising it! STOMPIN AT DECCA Extract from the coming album!!! 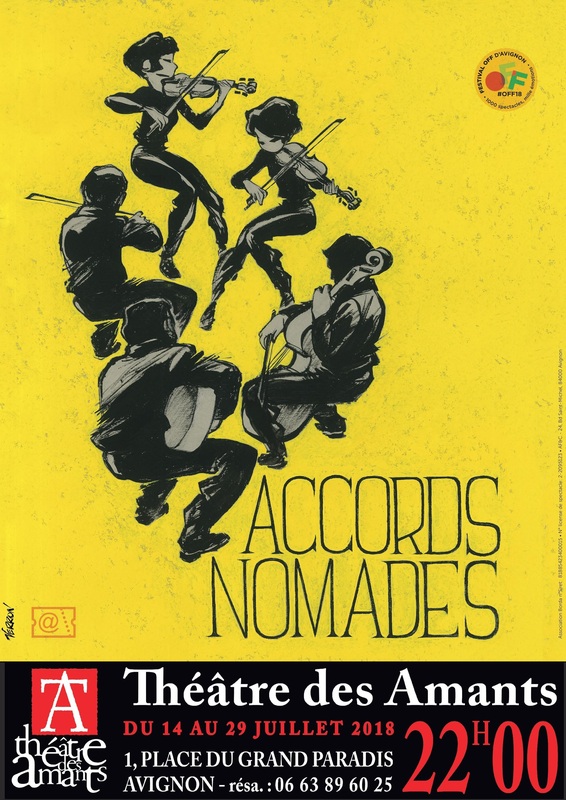 "Accords Nomades" is the title of musical show realised in self production, by Jérôme Brajtman and the Anouman String Quartet. 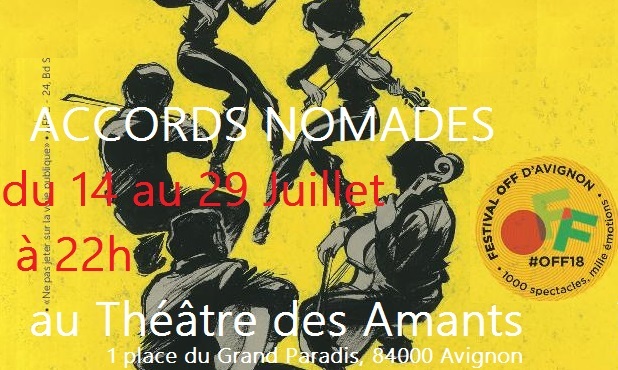 To start the project, we will participate this summer to the Festival d'Avignon OFF, and will be playing the show "Accords Nomades" from the 14th to the 29th of july 2018, in the Théâtre des Amants. This crossfounding campaign will allow us to cover some of the heavy fees due to participation to the Avignon festival: the rent of the théâtre 3000€, the flyers and the posters 300€, the recording and print of promotionnal CD 1000€, transports and food fees around 1000€, and so on...). We will appreciate your generosity and help to make this beautiful show possible with all our heart.Any amount is more than welcome, of course. 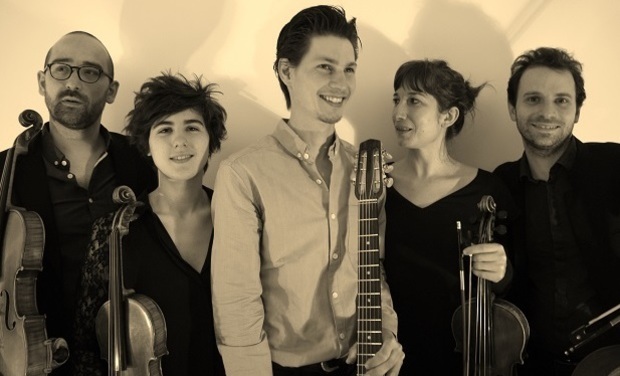 Jérôme Brajtman, and the Anouman String Quartet. Le CD d' "Accords Nomades"!! 8 titres issus de la BO du spectacle enregistrés au Houlbec Studio en Normandie...! 1 CD + 1 INVITATION pour le spectacle "Accords Nomades" au Festival d'Avignon OFF au Théâtre des Amants. 1 CD + 1 INVITATION pour le spectacle "Accords Nomades" au Festival d'Avignon OFF au Théâtre des Amants + 1 cours de violon ou de guitare manouche offert! 1 CD + 1 INVITATION+ 1 COURS + 1 WEEK-END DECOUVERTE EN AUVERGNE!!!! 1 CD + 1 INVITATION pour le spectacle "Accords Nomades" au Festival d'Avignon OFF au Théâtre des Amants + 1 week-end découverte en Auvergne!!!!!! 1 CD + 1 INVITATION pour le spectacle "Accords Nomades" au Festival d'Avignon OFF au Théâtre des Amants + 1 concert en duo! 1 CD + 1 INVITATION+ 1 CONCERT!!!!! 1 CD + 1 INVITATION pour le spectacle "Accords Nomades" au Festival d'Avignon OFF au Théâtre des Amants + 1 CONCERT à Domicile du spectacle Accords Nomades!